This pure white bouquet of Casa Blanca lilies makes an elegant statement as a perfect floral tribute, centerpiece or decorative arrangement. These lovely lilies also leave a soft fragrance in the air. 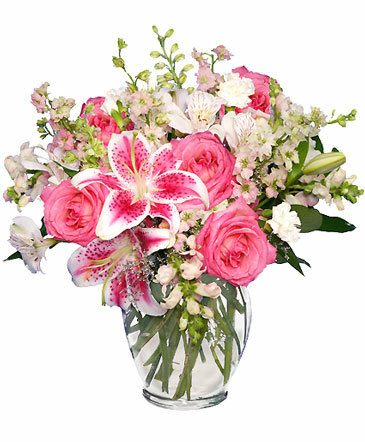 Show loved ones that you care with fresh flowers from GALLERY FLOWERS. 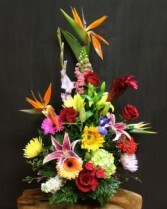 The Tropical arrangement includes birds of paradise, roses, yellow sunflower, green hydrangea, stargazer lilies, asiatic lilies, gerbera daisies, stock, gladiola, snapdragons, spider mums in a basket. Please Note: The scale of the arrangement increases/decreases in width & height as price increases/decreases.